This data is used solely for the purpose of improving our offer, and you cannot interfere with it. We will collect, store and process your data for the sales process of your purchase and any subsequent warranty claims processing, as well as for promotional purposes. Personal information shall be collected if you provide it in connection with your order, when opening a client account, or when registering for the newsletter on a voluntary basis. When you register for the newsletter, your email address will only be used for promotional purposes until up to when you unsubscribe. Unsubscribing is possible at any time. We may disclose your personal data during our execution of the order in our capacity as commissioned service providers (couriers, logistics companies, banks). Samples, catalogues, brochures, illustrations and similar fare shall always remain our intellectual property; the customer is not entitled to any kind of usage or exploitation rights. You have expressly granted us the following consent form(s) as appropriate and we have logged your consent. Under the Telecommunications Act we may withdraw the content of consent conditions at any time. You may withdraw your consent form(s) with future effect at any time. During the order process, your credit card information shall be SSL-encrypted when it is transferred over the Internet. 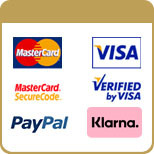 We do not save credit card information, but transferred directly to our certified credit card partner. Under the Federal Data Protection Act you have a right to release information contained in your stored data and a right to rectify, block or erase such data. Your data shall be transferred to the shipping company that is reponsible for your delivery wherever it is necessary as part of the delivery of the products. In order to process your payments we will forward your payment details to the credit institute responsible for the payment. We shall save the text of the agreement and send you the order data and our general terms and conditions by email. You can also view the terms and conditions here on this webpage and download them from it at any time. You can view your past orders in your client login on your personal webpage under "my orders". 8.3 How are cookies activated? Go to the Data Protection Menu Tab in Extras > Settings. At Review select > „Firefox is a review“ and select the option „Create“. If, instead of „Create“, you would prefer to activate the activate the option „use custom settings“, make sure that there is a tick in the „Accept Cookies“ box. Confirm by selecting OK. Download the new view using „View“, „Reload“([Strg] + [R]). Select the Data Protection Menu Tab under Extras > Internet options. At the settings menu open the Advanced menu tab. Here, the first-party Cookies option must be set to „Accept“. If this is not the case, activate the option „Override Automatic Cookie Handling“ (under Cookies) and activate the option „Accept“ under „First-party Cookies“. Confirm it twice by clicking on OK. Download the view again via „View“, „Refresh“ ([F5]). At the Menu tab „Menü“ > „Settings“, open „Settings“. Here, select the Menu tab „Advanced“. Call up „Cookies“ (on the left) and here click on „Accept Cookies“. Confirm it with OK. Load the view again with „Update“ ([F5]). In the upper-right area, open the context menu above the „Wrench icon“ („Options“). Call up the „Details“ menu tab. Open the menu „Content Settings“ under „Data Protection“. Enable the option „Allow local data storage“ under the „Cookies“ functions. Close both windows. Load the view again with „Update“ ([F5]). At „Safari“ select the „Settings“ menu ([cmd] + [,]). Open the „Security“ menu tab. Enable the option „Always“ under „Accept Cookies“. Close the menu. Load the view again with „Preview“ > „Reload page“ ([cmd] + [R]). This website uses Google Analytics, a web analysis service of Google Inc. („Google“). Google Analytics uses so-called „Cookies“, text data which is stored on your computer and which allows you to analyse the use of the website. The information generated by Cookies which is related to your use of this website (including your IP address) is transferred to a Google server in the USA and saved there. Google uses this information to evaluate your use of the website, to compile reports on the website activities for the website operators and to provide further services related to the use of the website and the Internet. Google shall also, if necessary, transfer this information to third parties if legally required if said third parties shall be processing this data on behalf of Google. Google shall never use your IP address in connection with other Google data. You may refuse the installation of Cookies by changing the settings on your browser; however, we do point out that, in such circumstances, you may not be able to make full use of all the functions of this website. Using this website means that you agree to the processing of the data about you obtained by Google as described above and that you agree to the above-mentioned purpose. ADITION always replaces current Cookies with new OptOut Cookies. OptOut Cookies delete the hitherto saved information including the IP address and prevent further collection of anonymous information. IMPORTANT: if these OptOut Cookies are deleted, ADITION will no longer be able to determine that an OptOut has taken place. In such a case the OptOut process will need to be repeated.